Which countries we have chosen and why we chose that two countries? 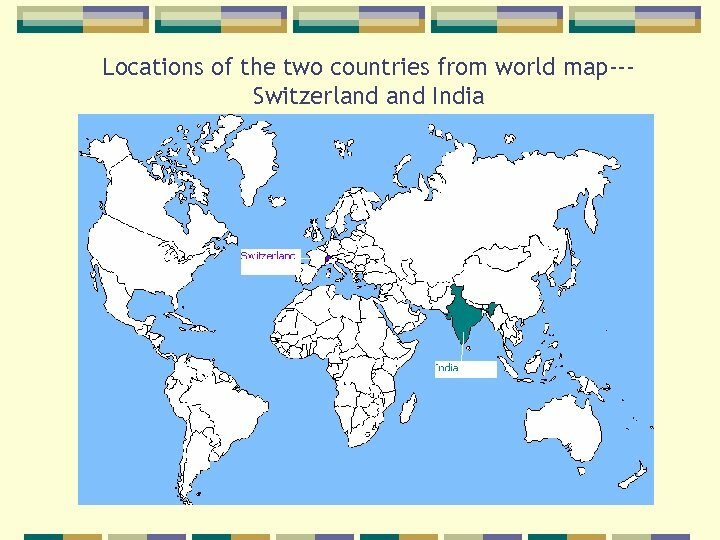 We have chosen Switzerland India for case study. 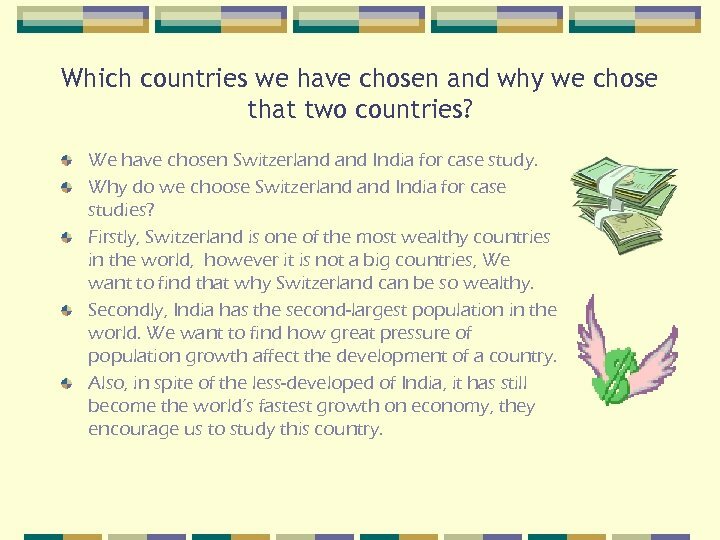 Why do we choose Switzerland India for case studies? 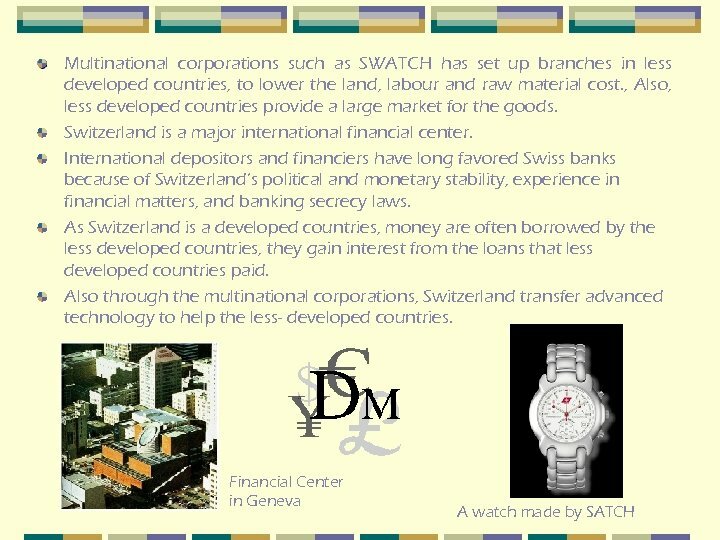 Firstly, Switzerland is one of the most wealthy countries in the world, however it is not a big countries, We want to find that why Switzerland can be so wealthy. 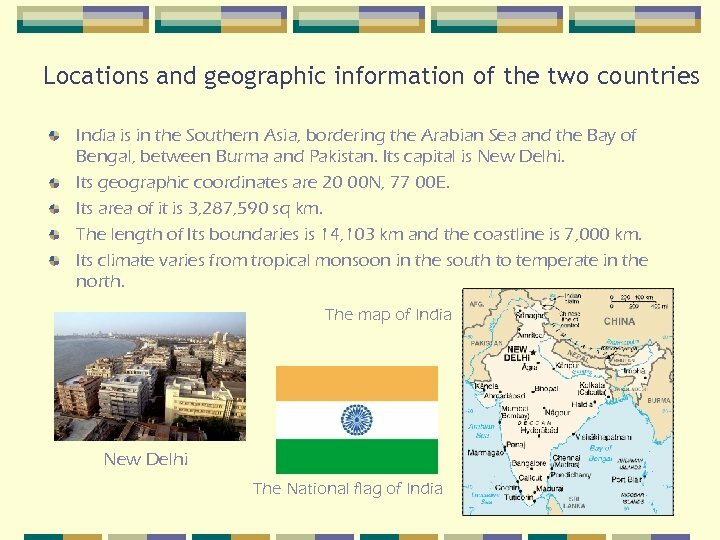 Secondly, India has the second-largest population in the world. 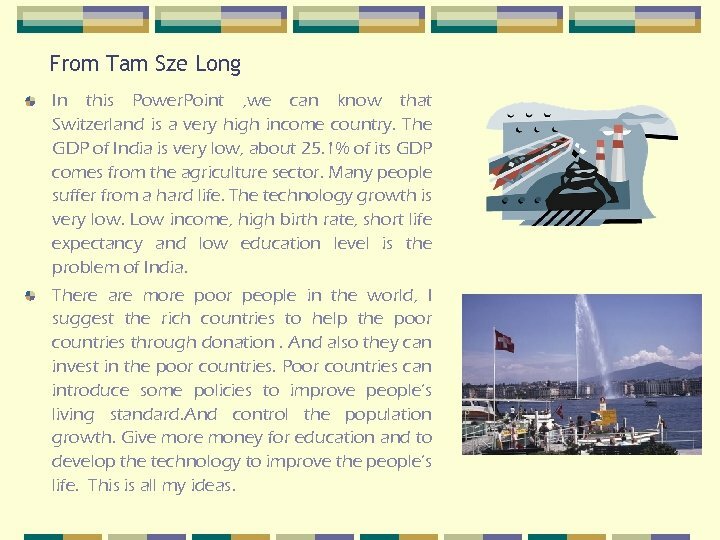 We want to find how great pressure of population growth affect the development of a country. Also, in spite of the less-developed of India, it has still become the world’s fastest growth on economy, they encourage us to study this country. 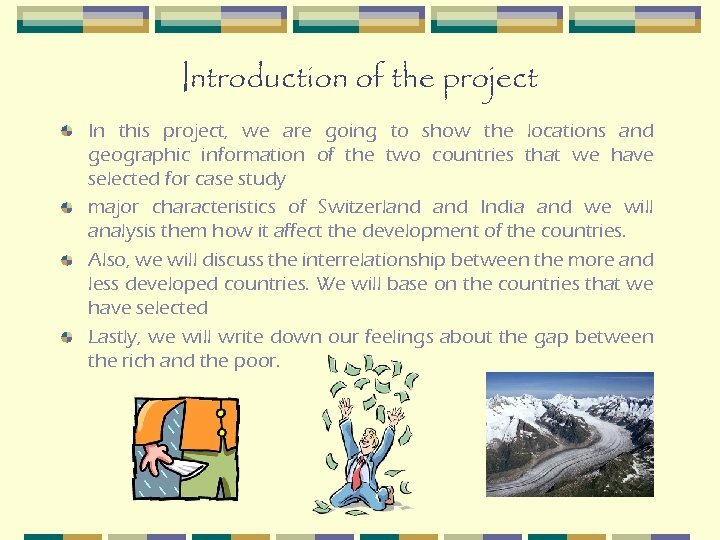 Introduction of the project In this project, we are going to show the locations and geographic information of the two countries that we have selected for case study major characteristics of Switzerland India and we will analysis them how it affect the development of the countries. 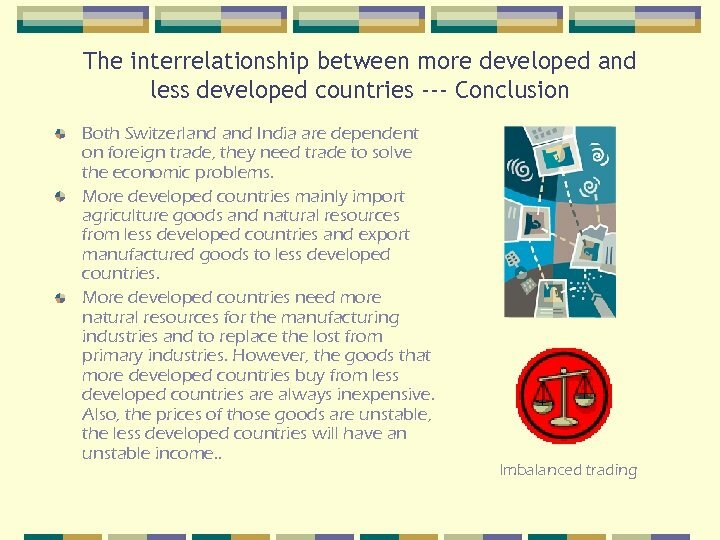 Also, we will discuss the interrelationship between the more and less developed countries. We will base on the countries that we have selected Lastly, we will write down our feelings about the gap between the rich and the poor. 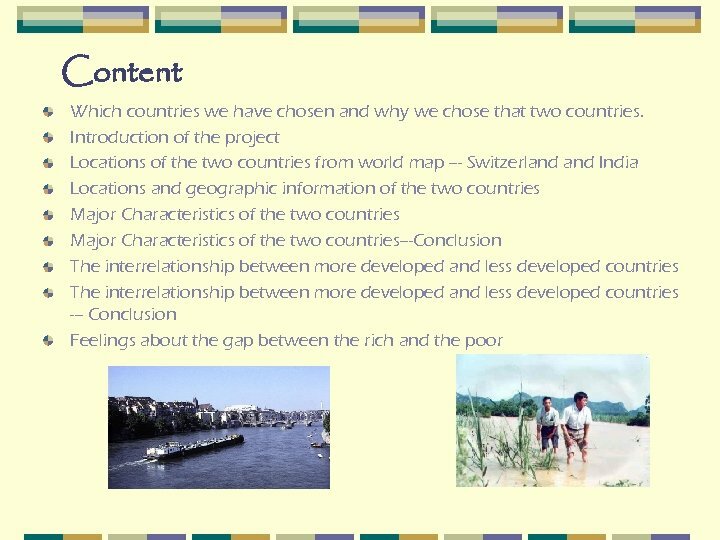 Major Characteristics of the two countries Here is a comparison between the high income countries in the world and Switzerland, we have chosen several indicators for this research. Indicators High income countries Switzerland Gross National Income per capita (US$) 26, 510 (2001) 38, 330 (2001) Population growth (annual%) 0. 7 (2002) 0. 24 (2002) Life Expectancy (years) 78. 1 (2001) 79. 8 (2001) Value added in agriculture (% of GDP) 2. 1 (2000) 1. 7 (2000) Energy use per capita (kg of oil equivalent) 5, 430. 4 (2000) 3, 704. 3 (2000) Literacy rate (%) 95. 2 (2002) 99. 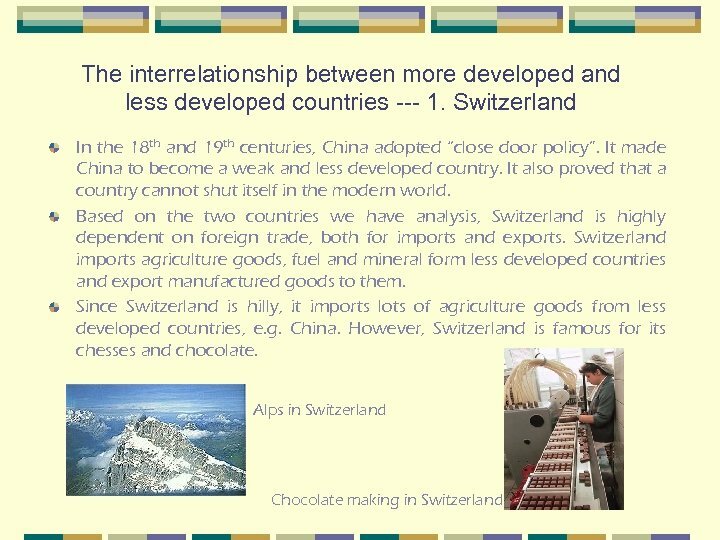 0 (2002) The number of the indicators of Switzerland are higher than the high income countries. 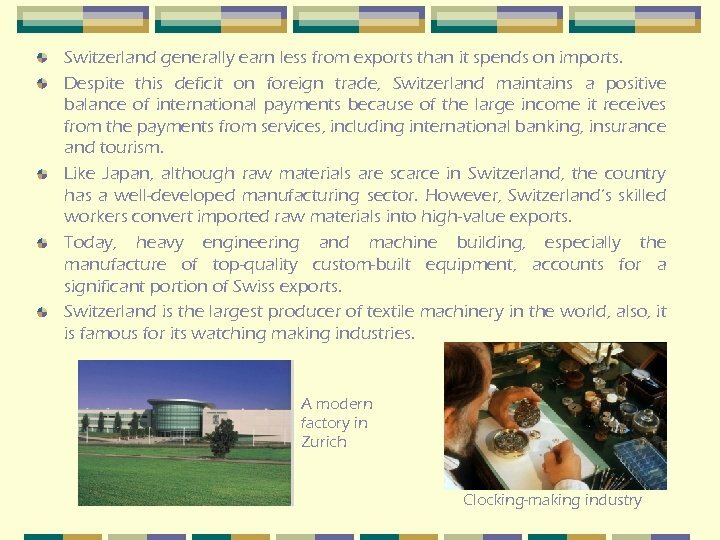 So, we regard Switzerland as wealthy income country. 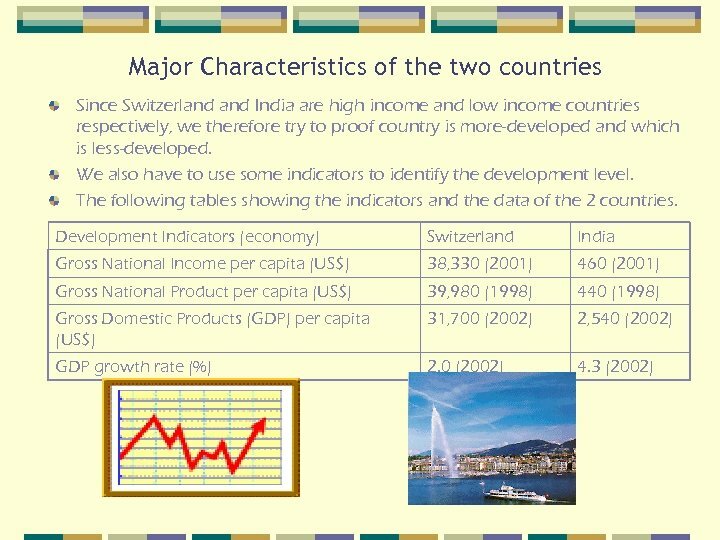 Major Characteristics of the two countries Here is the data between the low income countries in the world and India, several indicators are chosen. Indicators Low income countries India Gross National Income per capita (US$) 430 (2001) 460 (2001) Population growth (annual%) 1. 8 (2001) 1. 5 (2001) Life Expectancy (years) 58. 9 (2001) 63 (2001) Value added in agriculture (% of GDP) 23. 8 (2001) 25. 1 (2001) Energy use per capita (kg of oil equivalent) 568. 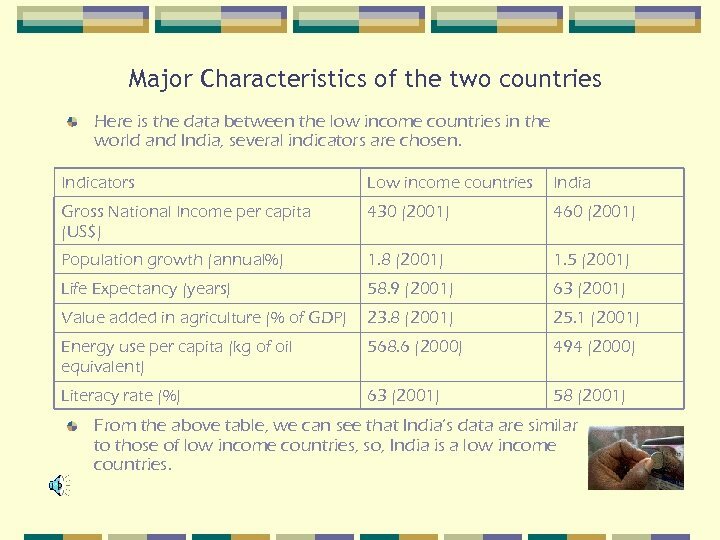 6 (2000) 494 (2000) Literacy rate (%) 63 (2001) 58 (2001) From the above table, we can see that India’s data are similar to those of low income countries, so, India is a low income countries. 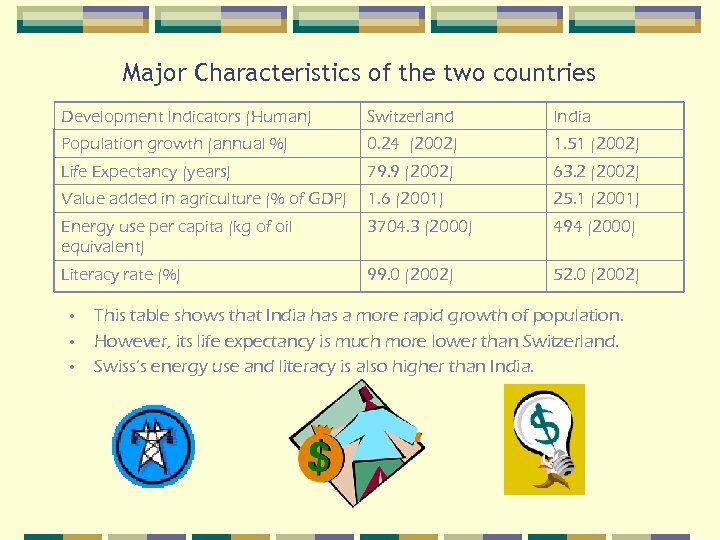 Major Characteristics of the two countries Development Indicators (Technology) Switzerland India Internet Users (per 1, 000 people) 527. 25 (2002) 6. 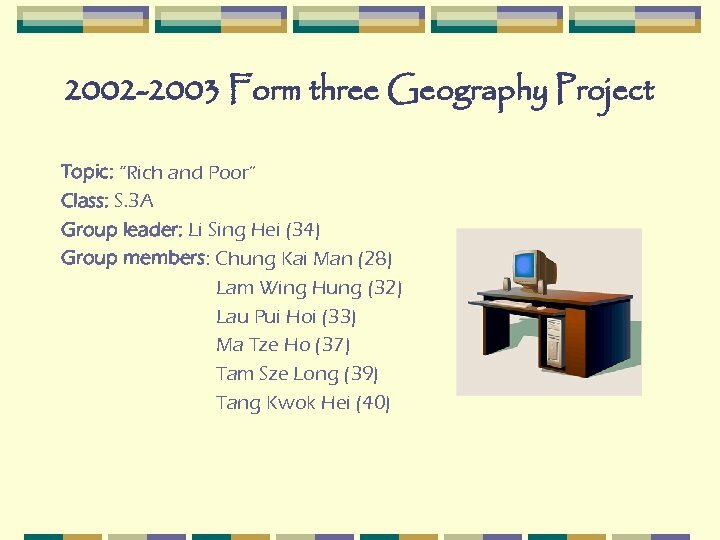 69 (2002) Personal computers (per 1, 000 people)) 540. 2 (2001) 5. 8 (2001) Telephones – main line in use (per 1, 000 people) 657. 35 (2002) 25. 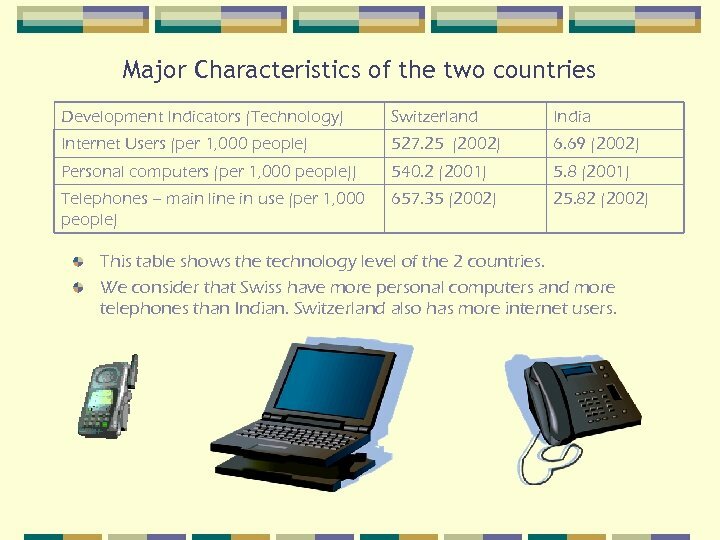 82 (2002) This table shows the technology level of the 2 countries. We consider that Swiss have more personal computers and more telephones than Indian. Switzerland also has more internet users. 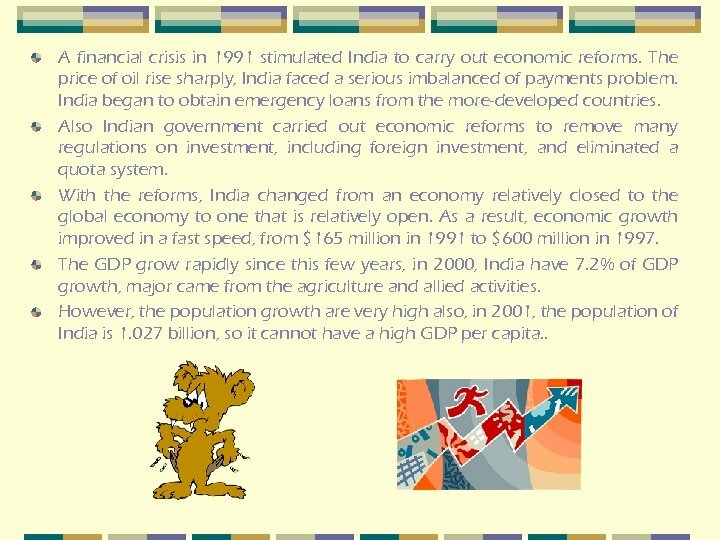 A financial crisis in 1991 stimulated India to carry out economic reforms. The price of oil rise sharply, India faced a serious imbalanced of payments problem. India began to obtain emergency loans from the more-developed countries. Also Indian government carried out economic reforms to remove many regulations on investment, including foreign investment, and eliminated a quota system. 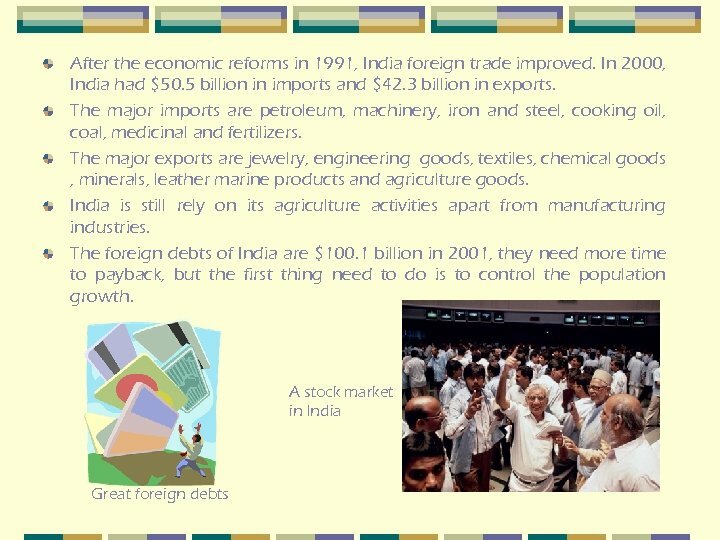 With the reforms, India changed from an economy relatively closed to the global economy to one that is relatively open. As a result, economic growth improved in a fast speed, from $165 million in 1991 to $600 million in 1997. The GDP grow rapidly since this few years, in 2000, India have 7. 2% of GDP growth, major came from the agriculture and allied activities. However, the population growth are very high also, in 2001, the population of India is 1. 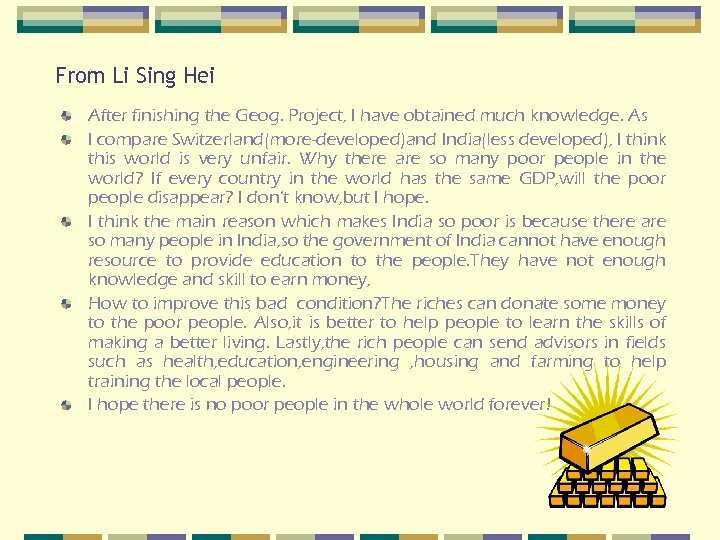 027 billion, so it cannot have a high GDP per capita. .
Feelings about the gap between the rich and the poor From Lau Pui Hoi Donating money is not the ultimate remedy---providing them with skills and education for sustainable development can serve the purpose and to alter the vicious cycle. Moreover, a better efficiency use and allocation of resources. 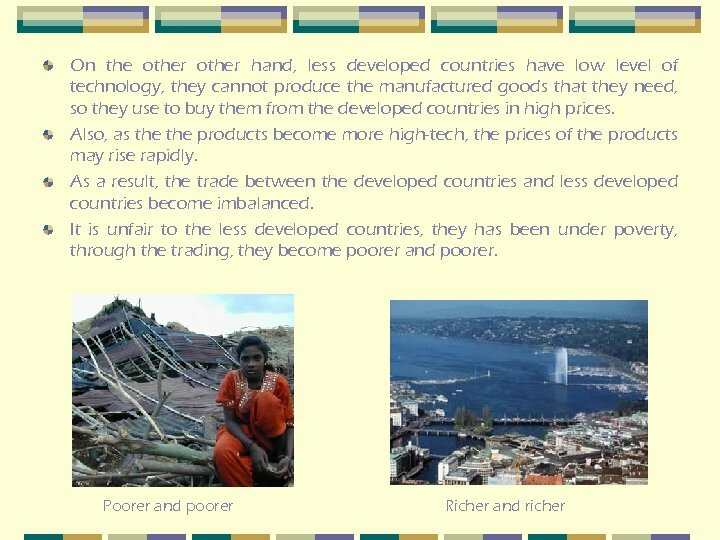 Within the developing countries may alleviate the poor living conditions. 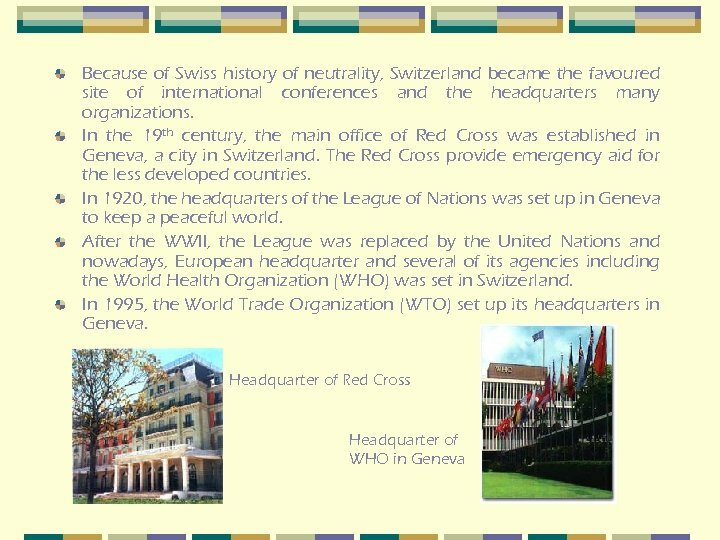 For instance the WHO help training up medical personnel to improve the health condition. The FAO of the UN can help enhancing its agriculture via advance technology imported from the developed countries such as the countries from the west. 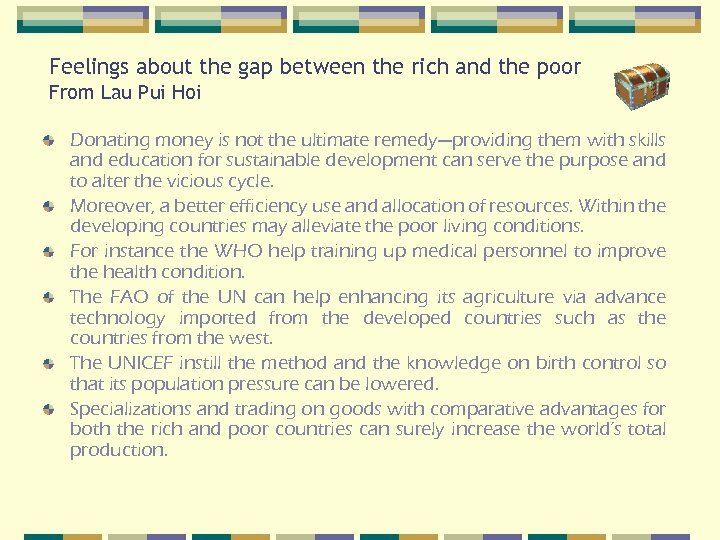 The UNICEF instill the method and the knowledge on birth control so that its population pressure can be lowered. Specializations and trading on goods with comparative advantages for both the rich and poor countries can surely increase the world’s total production. From Li Sing Hei After finishing the Geog. Project, I have obtained much knowledge. 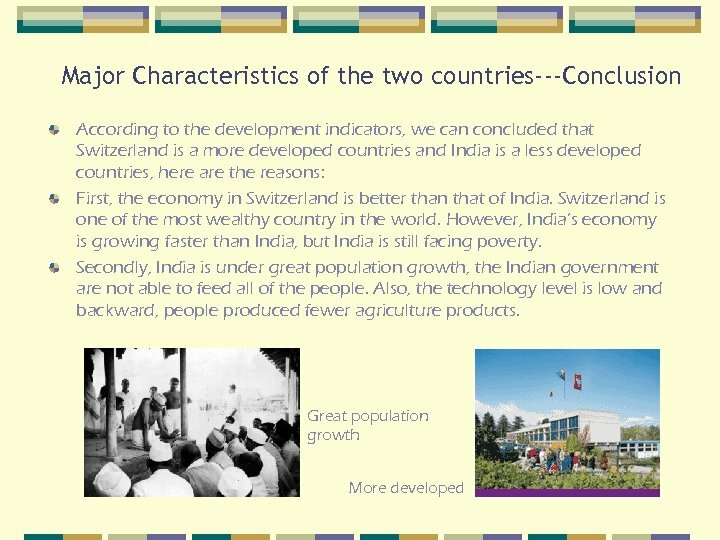 As I compare Switzerland(more-developed)and India(less developed), I think this world is very unfair. Why there are so many poor people in the world? If every country in the world has the same GDP, will the poor people disappear? I don’t know, but I hope. I think the main reason which makes India so poor is because there are so many people in India, so the government of India cannot have enough resource to provide education to the people. They have not enough knowledge and skill to earn money, How to improve this bad condition? The riches can donate some money to the poor people. Also, it is better to help people to learn the skills of making a better living. Lastly, the rich people can send advisors in fields such as health, education, engineering , housing and farming to help training the local people. I hope there is no poor people in the whole world forever! 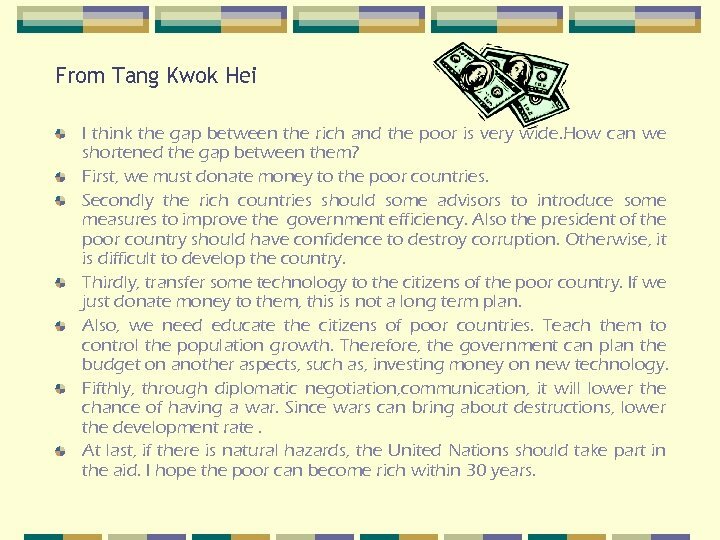 From Tang Kwok Hei I think the gap between the rich and the poor is very wide. How can we shortened the gap between them? First, we must donate money to the poor countries. Secondly the rich countries should some advisors to introduce some measures to improve the government efficiency. Also the president of the poor country should have confidence to destroy corruption. Otherwise, it is difficult to develop the country. Thirdly, transfer some technology to the citizens of the poor country. If we just donate money to them, this is not a long term plan. Also, we need educate the citizens of poor countries. Teach them to control the population growth. Therefore, the government can plan the budget on another aspects, such as, investing money on new technology. Fifthly, through diplomatic negotiation, communication, it will lower the chance of having a war. Since wars can bring about destructions, lower the development rate. At last, if there is natural hazards, the United Nations should take part in the aid. I hope the poor can become rich within 30 years. From Tam Sze Long In this Power. 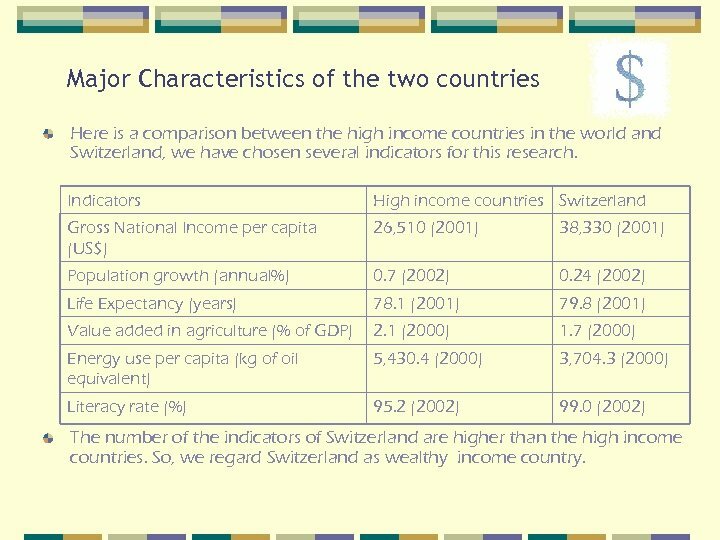 Point , we can know that Switzerland is a very high income country. The GDP of India is very low, about 25. 1% of its GDP comes from the agriculture sector. Many people suffer from a hard life. The technology growth is very low. 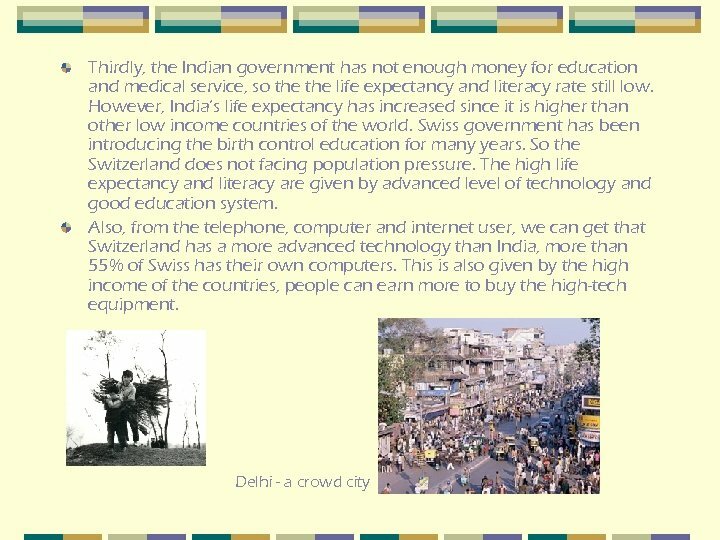 Low income, high birth rate, short life expectancy and low education level is the problem of India. There are more poor people in the world, I suggest the rich countries to help the poor countries through donation. And also they can invest in the poor countries. Poor countries can introduce some policies to improve people’s living standard. And control the population growth. Give more money for education and to develop the technology to improve the people’s life. This is all my ideas. 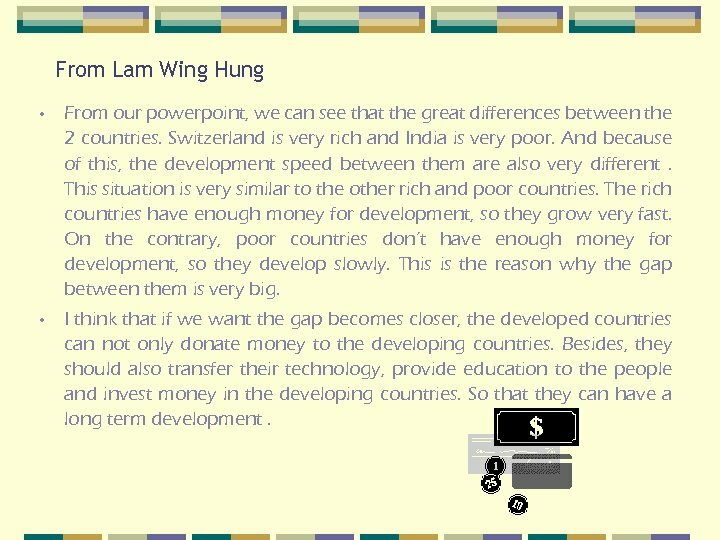 From Lam Wing Hung • From our powerpoint, we can see that the great differences between the 2 countries. 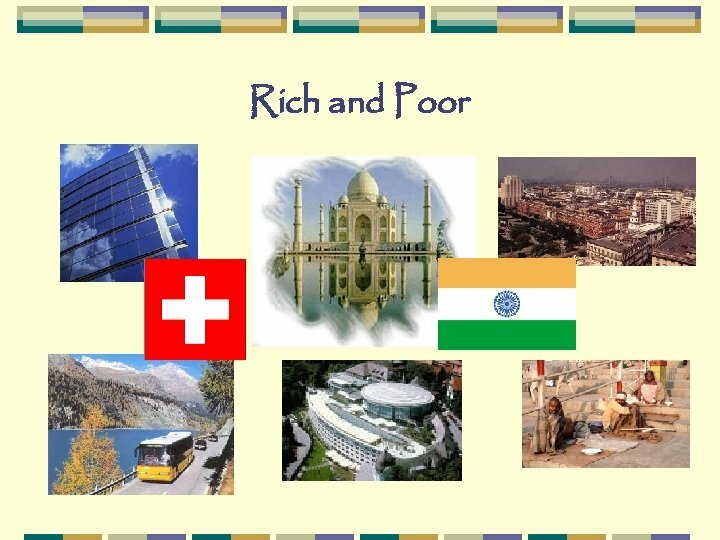 Switzerland is very rich and India is very poor. And because of this, the development speed between them are also very different. This situation is very similar to the other rich and poor countries. The rich countries have enough money for development, so they grow very fast. 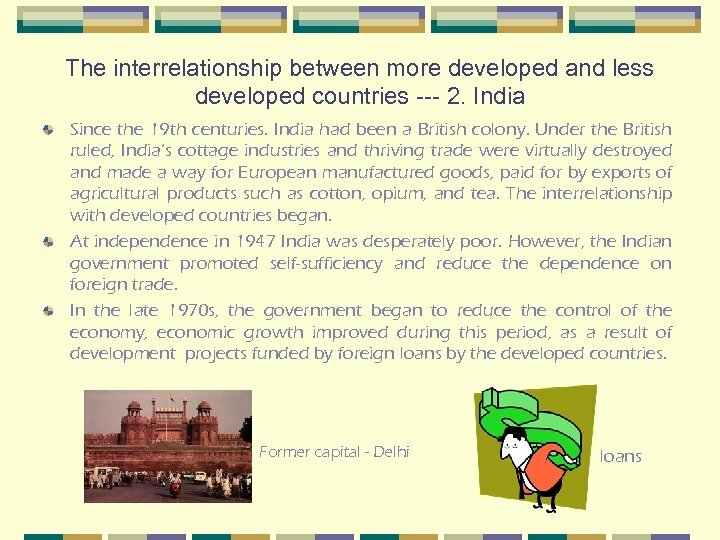 On the contrary, poor countries don’t have enough money for development, so they develop slowly. This is the reason why the gap between them is very big. • I think that if we want the gap becomes closer, the developed countries can not only donate money to the developing countries. Besides, they should also transfer their technology, provide education to the people and invest money in the developing countries. So that they can have a long term development. 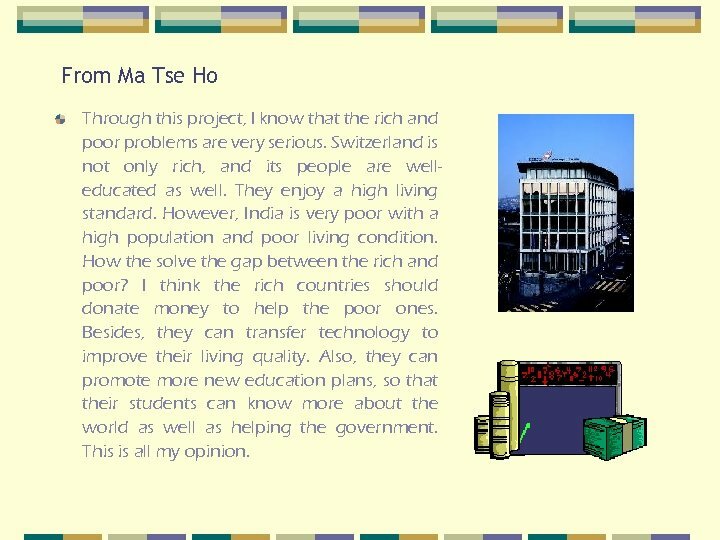 From Ma Tse Ho Through this project, I know that the rich and poor problems are very serious. 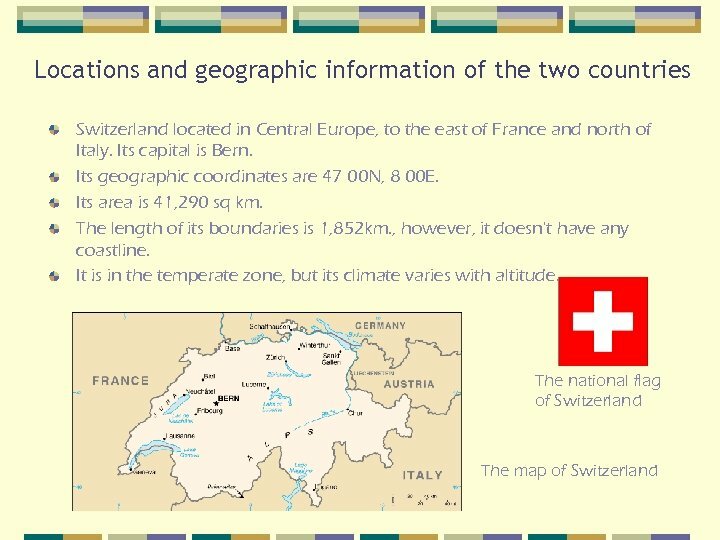 Switzerland is not only rich, and its people are welleducated as well. They enjoy a high living standard. However, India is very poor with a high population and poor living condition. How the solve the gap between the rich and poor? I think the rich countries should donate money to help the poor ones. Besides, they can transfer technology to improve their living quality. Also, they can promote more new education plans, so that their students can know more about the world as well as helping the government. This is all my opinion. 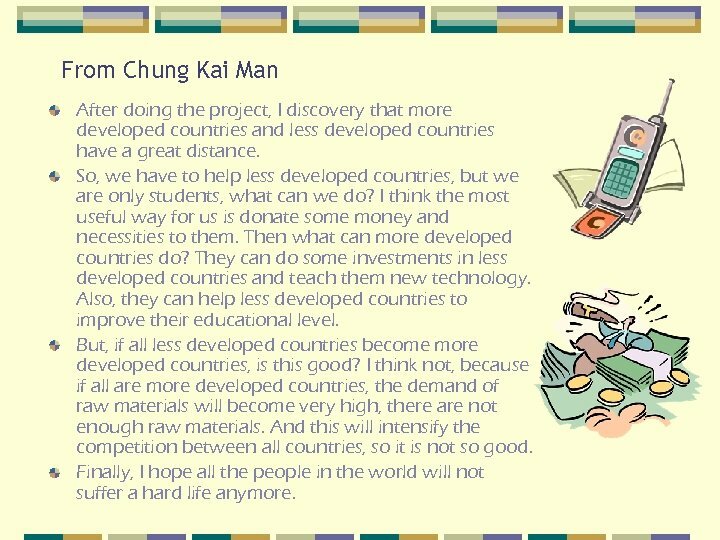 From Chung Kai Man After doing the project, I discovery that more developed countries and less developed countries have a great distance. So, we have to help less developed countries, but we are only students, what can we do? I think the most useful way for us is donate some money and necessities to them. Then what can more developed countries do? They can do some investments in less developed countries and teach them new technology. Also, they can help less developed countries to improve their educational level. But, if all less developed countries become more developed countries, is this good? I think not, because if all are more developed countries, the demand of raw materials will become very high, there are not enough raw materials. And this will intensify the competition between all countries, so it is not so good. Finally, I hope all the people in the world will not suffer a hard life anymore. 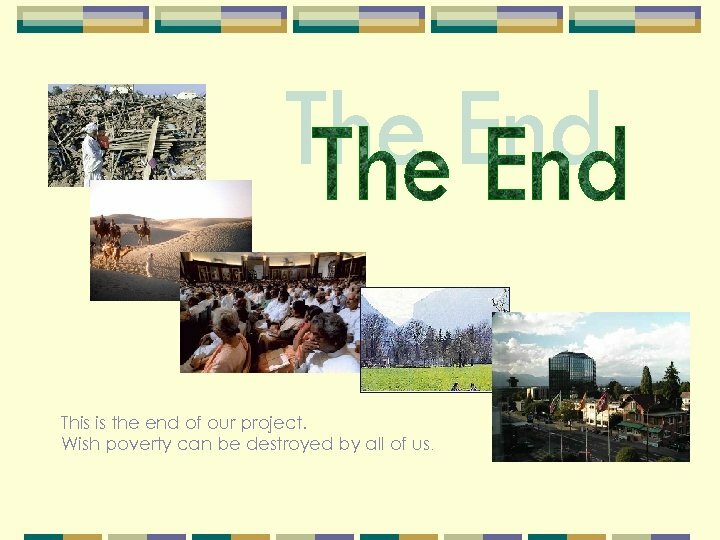 This is the end of our project. Wish poverty can be destroyed by all of us.